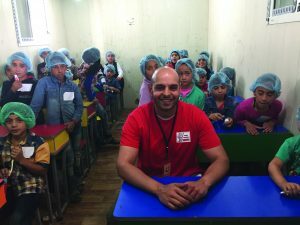 Earlier this year Drayton resident, dentist Dr Gautam Sharma appealed to Just readers for toothbrushes, toothpaste and toys to take out to Lebanon where he was due to volunteer his time treating Syrian refugees with the charity Dental Mavericks. He’s back from his trip and reports on his experiences. 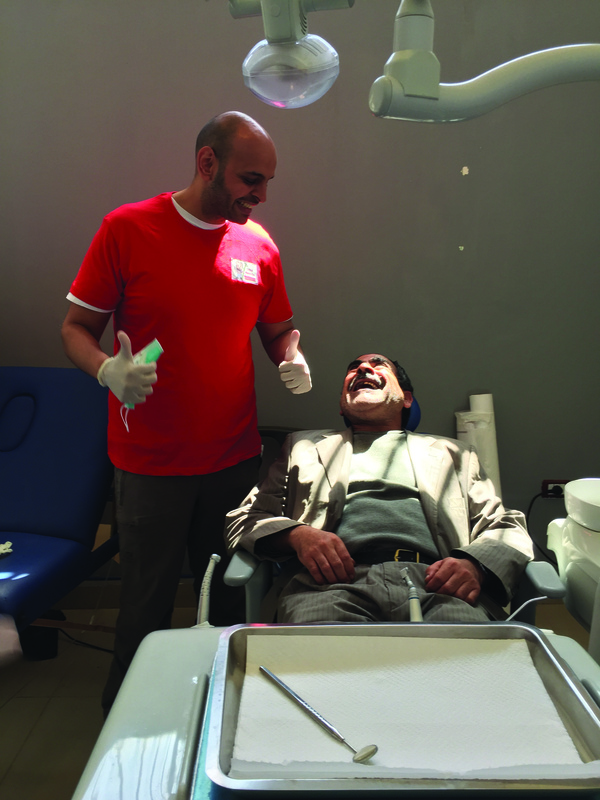 “As many of you in the community will know, I recently took part in a special mission to provide dental treatment and advice for displaced families in Syria. “I want to thank each and every one of you from the Drayton and Taverham area who contributed donations to the local collection point, and in doing so, made such a difference to the lives of those I met. “My experience has been absolutely humbling, emotional, exhausting – and a very stark reminder of why we all need to live our lives with more compassion and kindness. 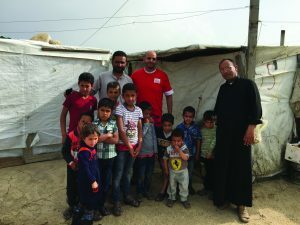 “With a huge 40kg of luggage, I arrived in the Bekaa Valley, and began slowly taking in the enormity of the project I was involved with, and the huge level of need among families and individuals. “I spent two weeks delivering treatment and education within the area’s hospitals, clinics and schools – always receiving a grateful (and hugely heart-warming) smile and handshake from those I assisted. “In total, our group mission helped some 1,000 patients during that time, and I am utterly privileged to have been invited into the homes of those living in the camps. 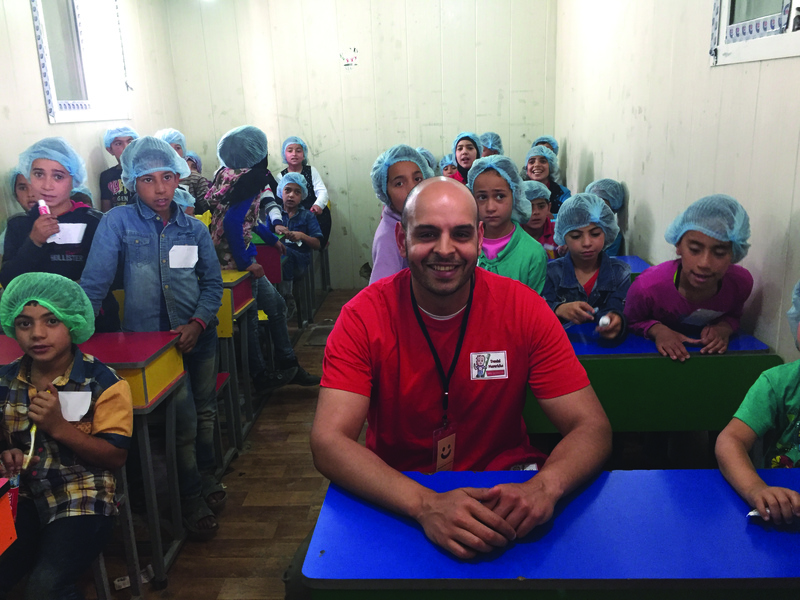 “My overwhelming learning from this experience was that there is so much misconception around the way people are managing their lives in this part of the world. “Every facility or home I saw was meticulously maintained, and the level of pride and gratitude was shining from every single person with whom I had contact. Will I go back? Absolutely. I now feel part of a journey in the lives of these people. I realise more than ever how fortunate myself and my own family are, and how someone like myself has a potential role to play. “I thank you all – from the bottom of my heart – for your support and donations in recent weeks and months. “Of course, if you would like to know more about the ongoing mission, or think you may want to contribute in the future, please do get in touch with me at my surgery. This entry was posted in Drayton & Taverham, Home Page and tagged Dental Mavericks, Dr Gautam Sharma, Drayton on July 11, 2018 by Gay Webster.